To kick off the spring and summer cycling seasons, WaterField announces the upgraded Cycling Ride Pouch and the new Cycling Club Pouch, two compact cases custom-fit for carrying both phone and tools in a bicycle jersey pocket. 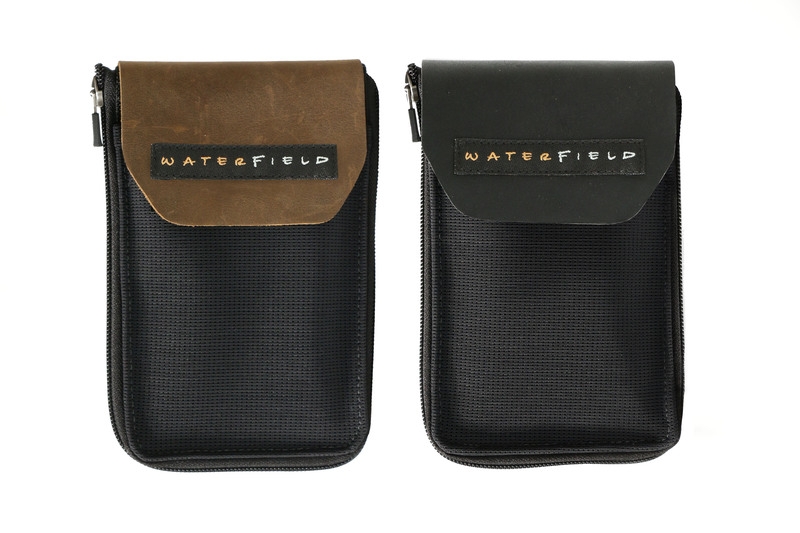 Both cases are available for pre-order from the WaterField Designs online store and will begin shipping May 20, 2016. 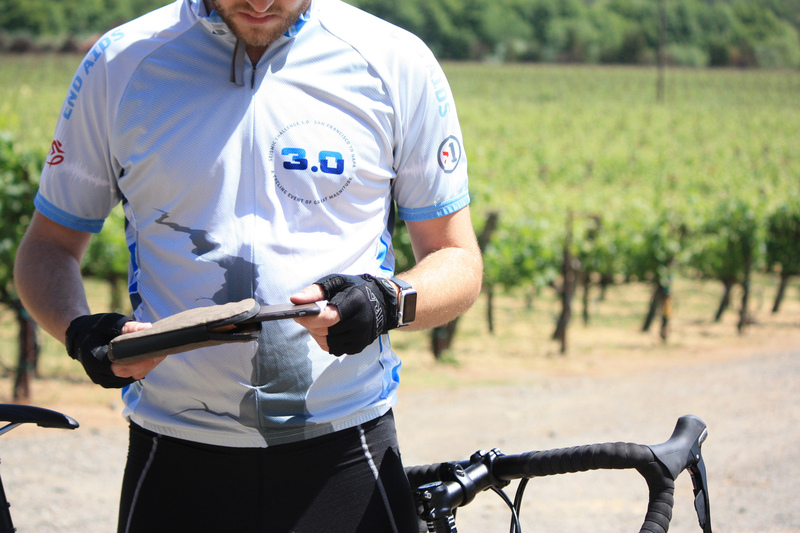 Once you start riding, you'll hardly feel it’s there, yet it keeps your phone and essentials quickly accessible. WaterField Designs, a local San Francisco maker of laptop sleeves, bags and cases for digital gear, updates its Cycling Ride Pouch and introduces the new Cycling Club Pouch for the spring and summer cycling seasons. 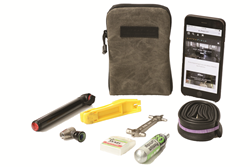 Phones have become almost as vital as bike tools when out on a ride or work commute; WaterField’s new ride pouches are custom-fit to carry both in one compact kit. 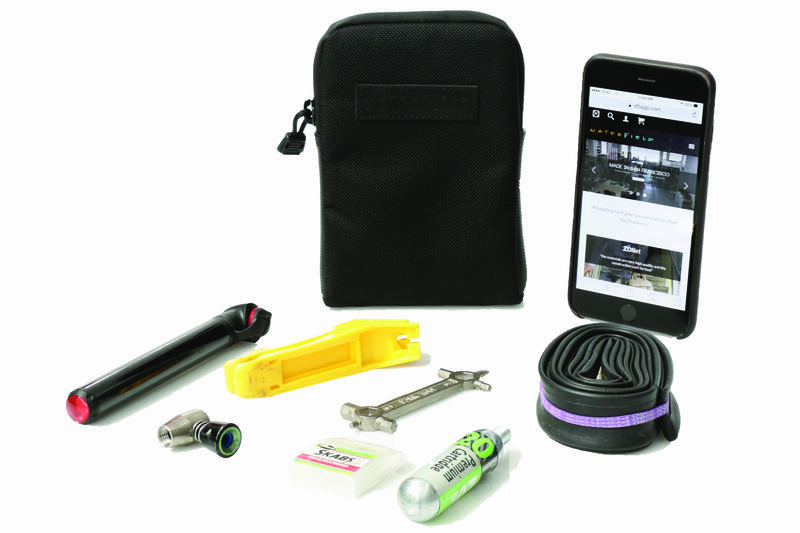 The Cycling Ride Pouch includes a clear window that allows basic phone access with the phone still safely within the case, and the Cycling Club Pouch incorporates a padded phone pocket to separate up to an iPhone 6 Plus-sized phone from the tool compartment. Both pouches fit neatly in a back jersey pocket, with optimized surface area for maximum comfort. The Cycling Ride Pouch is rich with thoughtful details experienced cyclists will appreciate. 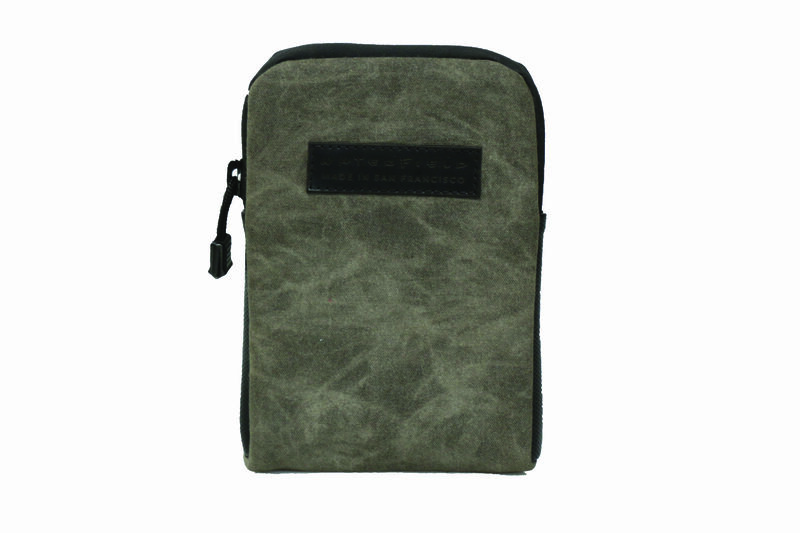 Made of durable ballistic nylon, it has three compartments: a front phone pocket with a transparent window, a back mesh pocket for quick access, and a main tool compartment. A small removable wallet—included in the back mesh pocket—fits ID and keys and keeps these items dry from sweat and during intermittent rain. The main pouch opens flat to clearly display all tools on the ground so cyclists can easily see and grab the right one and get back on the road quickly. The Ride Pouch is intentionally designed to afford as little disruption to a ride as possible. 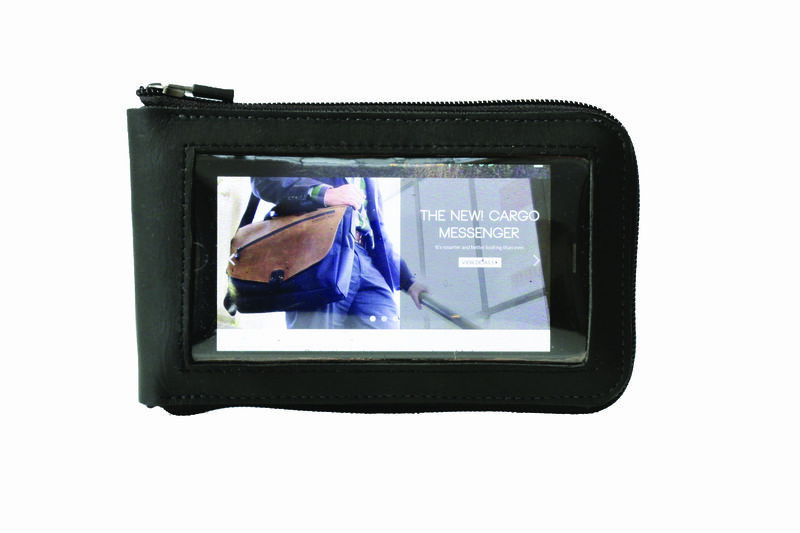 The Cycling Club Pouch stores tools and phone vertically with a padded divider between the two to protect each. A bright yellow liner enhances interior visibility. Made of durable ballistic nylon or waxed canvas and self-locking, waterproof zippers, the Club Pouch helps keeps items dry from sweat and inclement weather. This Cycling Pouch is a handsome, accessible pouch to help cyclists upgrade from the plastic bags so many often use to store assorted bits and pieces on long rides. 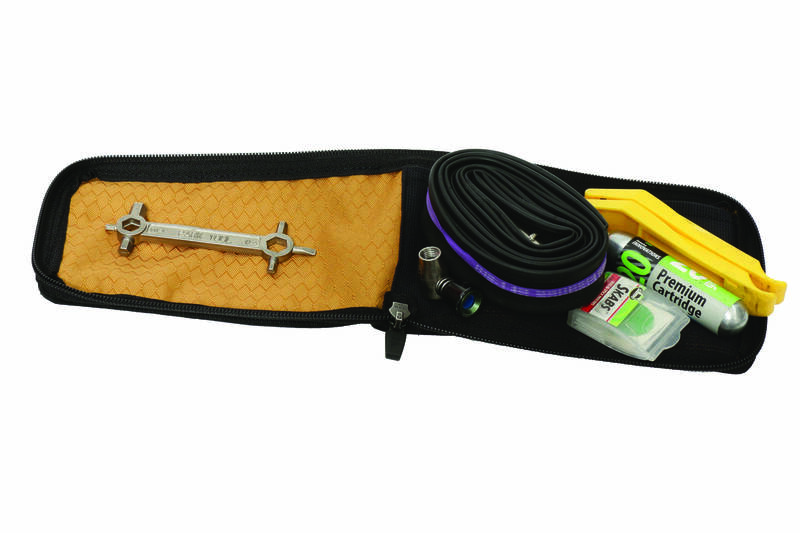 Yellow-lined main compartment fits a spare tube, air cartridge tire levers, and patches. The Cycling Ride Pouch and Cycling Club Pouch were designed in collaboration with ELEVEN Velo of Australia and are manufactured entirely in San Francisco by WaterField Designs. Price: $79. Colors: leather—black or brown full-grain, distressed leather. One size. Dimensions: 7.25 x 4.5 inches. Weight: 4 ounces. Price: $49. Colors: black ballistic nylon or brown waxed canvas. One size. Dimensions: 7 x 4.5 inches. Weight: 2.5 ounces. Both cases currently available for pre-order. Shipping begins, May 20, 2016. 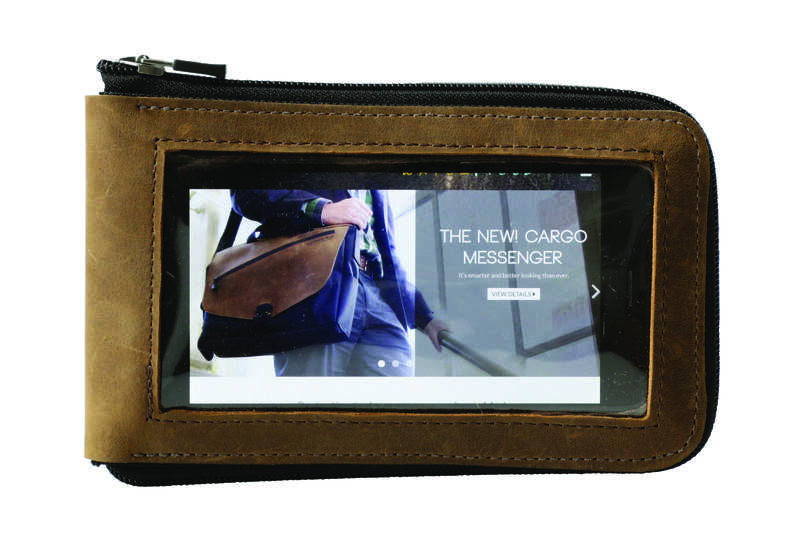 WaterField Designs manufactures custom-fitted, bags and cases for laptops, tablets, smartphones, e-readers, gaming devices and other digital gear. All products are manufactured entirely in San Francisco to exacting standards. Company founder Gary Waterfield, an avid lifelong cyclist, has toured the U.S., Canada, Europe, Australia, and New Zealand. He regularly participates in cycling events and spends time in Grenoble, France biking in the Alps. For more info see “Our Story” at the company website.